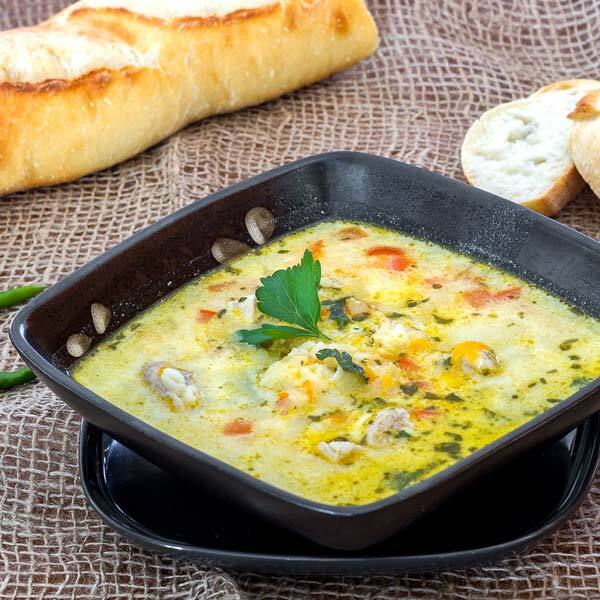 Another one of my favorite, Transylvanian soup or “Ciorba Ardeleneasca” for connoisseurs, is pretty much the only soup made with pork that I really like… I think. This thing is pretty sour but I wouldn’t have it any other way to be honest and if you have some European background you will love it too. OK now I need to expand the recipe for a bit but don’t fret, I am not trying to make it difficult. This soup usually has a decent amount of fat but I used pork loin, I think, which was pretty lean but if you want the traditional taste, you can jump onto some shoulder or whatever you can find with some serious fat and don’t worry about your blood cholesterol. Now, you will have to cook the rice in a different pan, strain it and then pour it into your soup but I used 5 minutes rice which you can add to your soup in the last 5-10 minutes of cooking and save some time and work. Oh and if you need some more water then by all means, add some but don’t make it too watery. To make it sour you can use either vinegar or lemon juice but I think is a no brainer… lemon juice ftw. Anyway, that’s all there is, I hope you enjoy it at least as much as I did. Cut the pork into cubes, your desired size. In a soup pot add the 8 cups of water and add the pork and the celery root to the water. Boil on medium heat for 45 minutes. To keep the soup clear, make sure you skim the gray foam that forms at the top of the soup during the first 15 minutes of boiling. In a large skillet add olive oil, chopped onion, shredded carrot, celery, shredded parsnip and chopped pepper and cook on low heat for about 10 minutes, just until the vegetables soften up a bit. Remove the celery root from the soup. Add the vegetables to the soup , and season with salt and pepper. Simmer for another 15-20 minutes on low heat, so as not to boil the soup again. Add pre-cooked rice to the soup and continue boiling. I used 5 Minute rice but you could use whatever else you want, just need to cook it in a different pan first and then strain it before you pour it into your soup. In a bowl, whisk the sour cream with the flour together and add a couple ladles of the hot soup to the bowl to thin out the sour cream mixture. Pour the cream slowly into the soup pot, stirring constantly so as not to curdle. Add the tarragon and lemon juice and let it cook for another 10 minutes on low heat. You may want to taste for salt and pepper at this time and add more if needed. Sprinkle with fresh parsley and serve hot with hot peppers on the side.